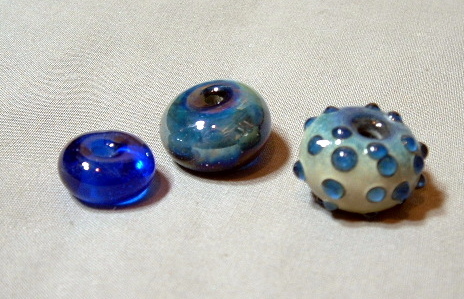 I’ve fired up my torch after almost two years and I’ve been trying different techniques including hollow beads, encasing and working with enamels and baking soda. 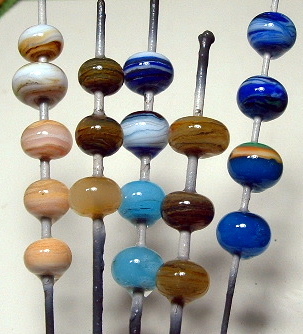 I’m really looking forward to Bead Fest this year. 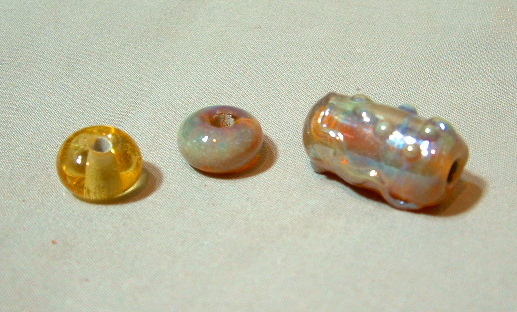 Aside from seeing all the lovely lamp worked beads, Wale Apparatus one of my favorite suppliers, is on the vendor list. How cool is that? 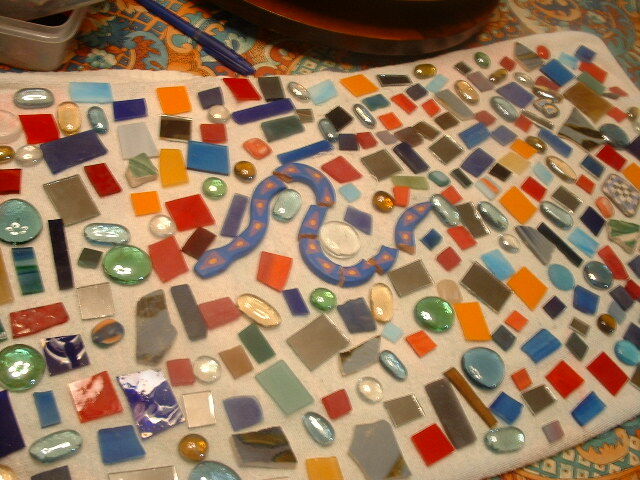 My latest project is covering the countertop between my dining room and kitchen with a tile mosaic. 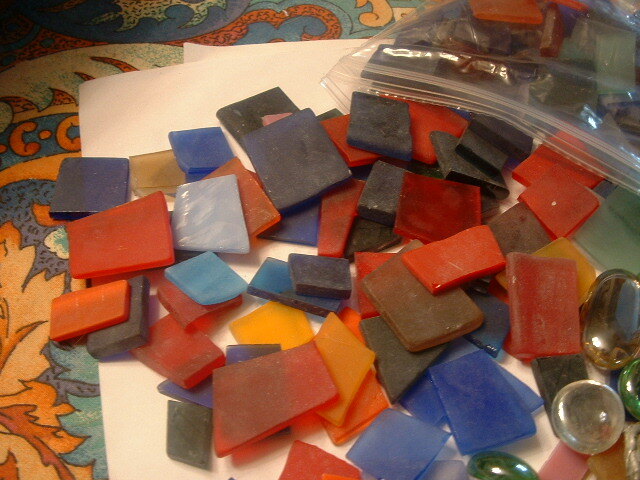 I cut lots of glass tiles, tumbled some to get a matte finish and left the others shiny. 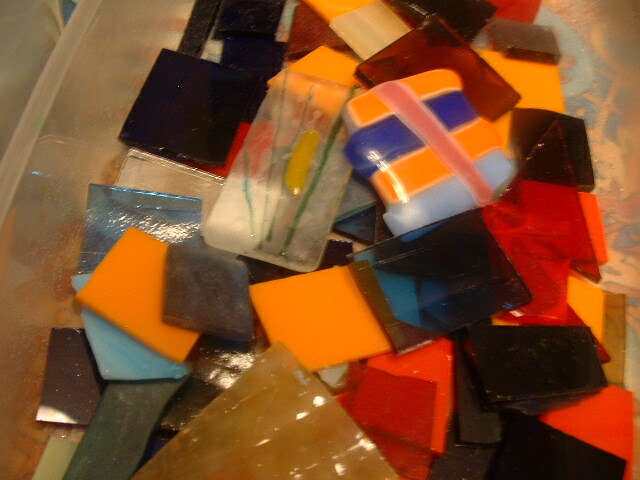 I have plenty of cut up ceramic tiles, dishes, glass baubles, some fusing failures that still look pretty, lampworked beads that cracked in half before annealing and a bunch of mirror tiles I cut. 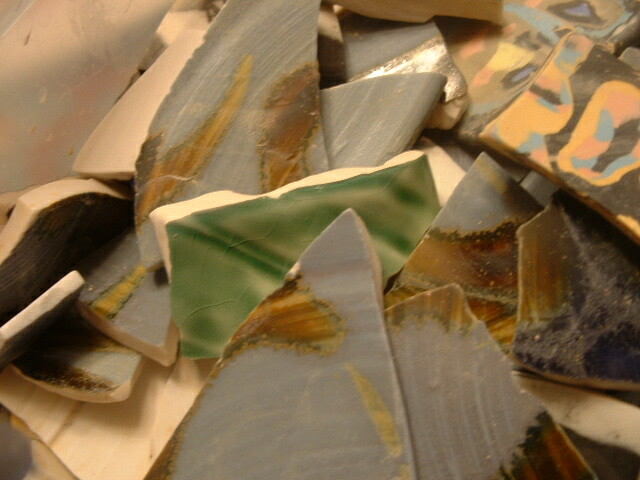 I got sand colored grout because I thought white would be boring. Much like when I got married, I don’t have a plan. I will wing it and see that I get. I’ll post pix here when I’m finished. Wish me luck! 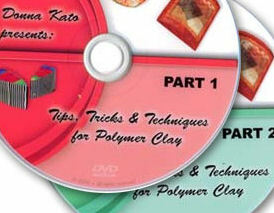 Donna Kato Presents: Tips, Tricks & Techniques for Polymer Clay is three and a half hours of Donna Kato demonstrating caning, transfers, mica shift, finishing techniques and more. The gals at video night (you know who you are) gave it a five (out of five) pasta machine rating. A bargain at $34.95. To order, press here. I love everything Sharilyn Miller. 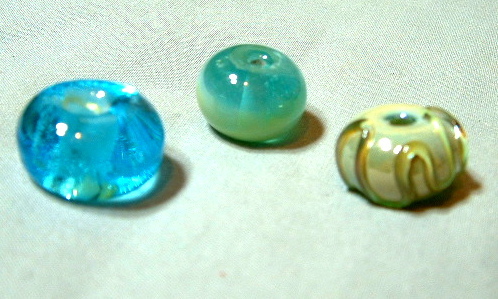 (To see my review of her Tribal Treasures video, press here.) 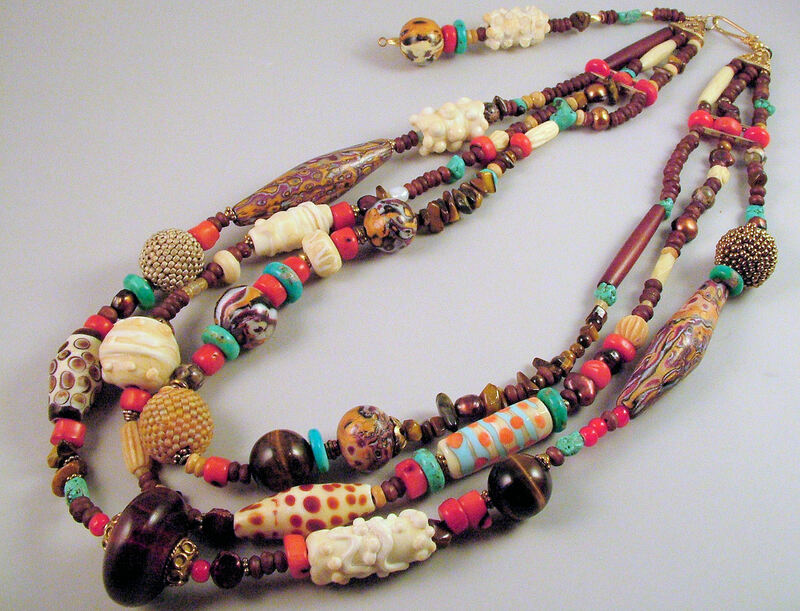 I just got finished watching her Ethnic Style Jewelry Workshop video, and all I can say is “Wow!” Another three and one half hours of valuable information on wire working, and instructions for making four bracelets and two necklaces. A steal at $39.95. To order it, Press here. I wrote about the Alexander Calder Jewelry Exhibit at the Philadelpha Museum of Art in an earlier post. 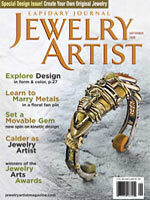 The latest issue of Lapidary Journal Jewelry Artist has an article on Calder’s jewelry well worth reading: “Calder’s Mobile Jewelry” by Cathleen McCarthy. 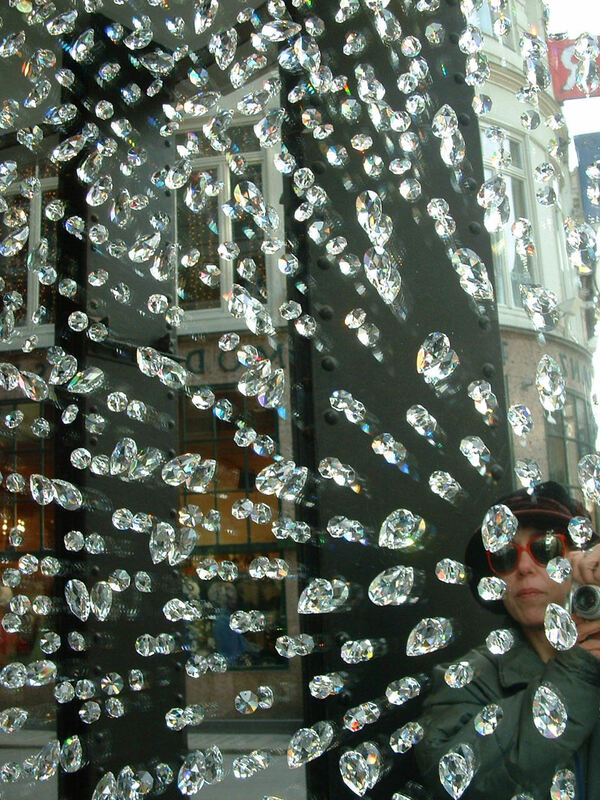 Me at the Swarovski Crystal Store In Vienna, Austria. 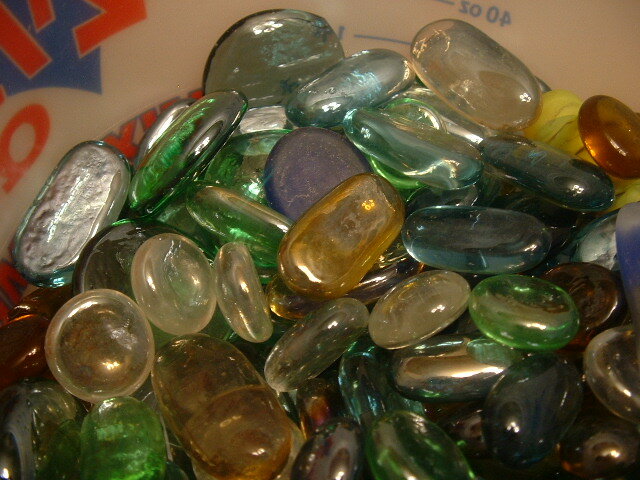 I Love crystals: Looking at them, stringing them, beading with them, designing for them and wearing them. 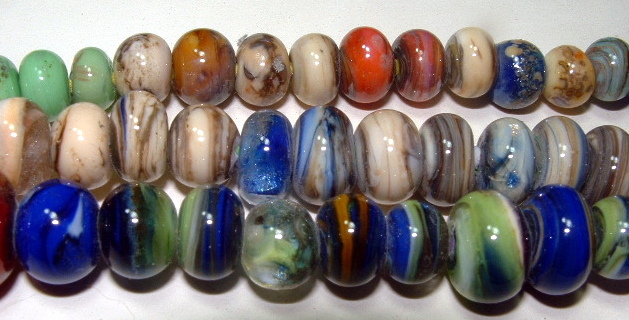 During the summer, I troll the Streets of Philadelphia in search of house sales with troves of beads for sale. While I have snapped up caches of old jewelry made of old Swarovskis and other glimmering crystals for a song, I am not above buying new crystals because Swarovski is constantly coming out with new styles and colors. 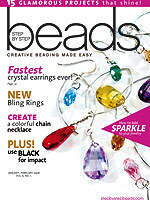 I have project article in the January/February 2008 issue of Step by Step Beads called “Tokyo Rows.” It’s a bracelet made from the traditional Japanese flower motif using seed beads and crystals. Check it out. 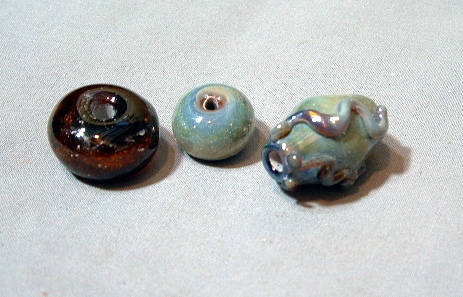 I make lampworked glass beads. 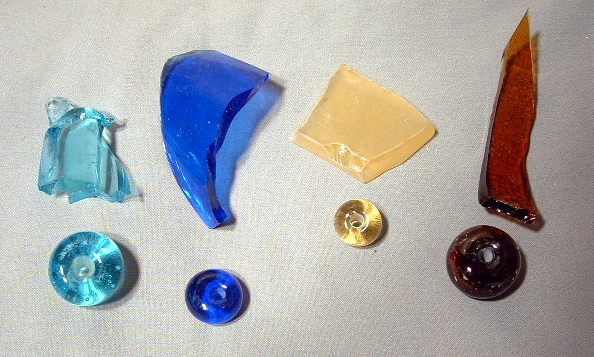 This summer, I have been having fun making beads from recycled glass I find on the street. 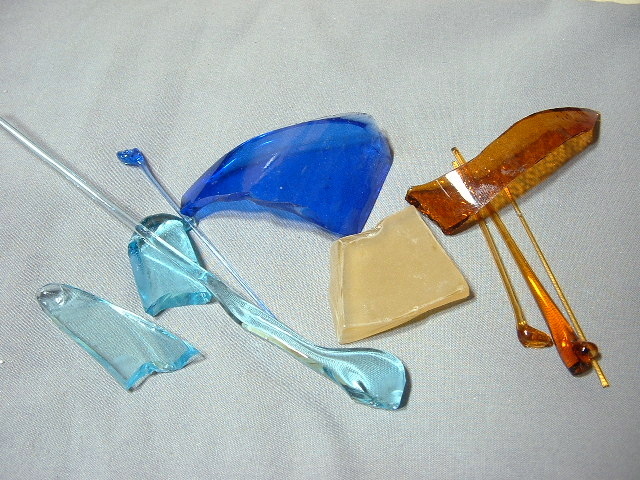 I use colbalt blue wine bottles and aqua colored Bombay Sapphire Gin bottles. Trash day is like a shopping spree only I don’t need any money! What could be better? 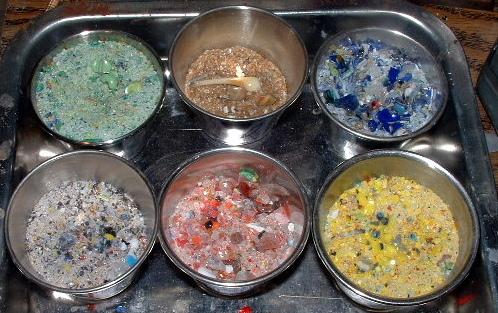 There is a rich tradition around the world of using recycled materials to make art. 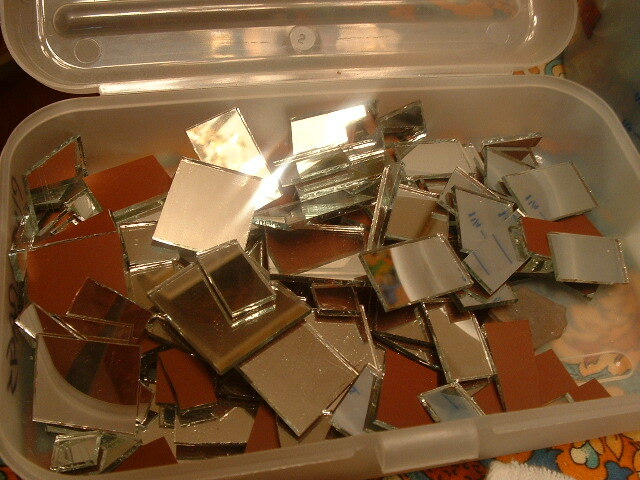 Most art from recycled materials comes from so-called Third World Countries. The patchwork quilt is the one we are most familiar with in the United States. As we become more of a throw away society, however, the recycled materials movement has found its way to our affluent shores. 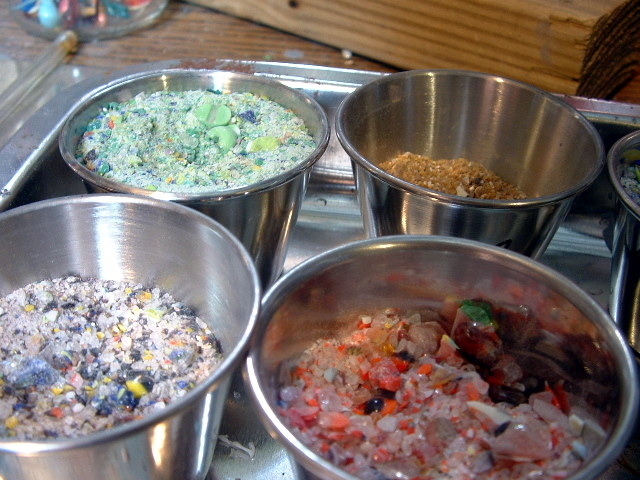 Here are three links where you can find more art made from recycled materials. Happy dumpster diving!